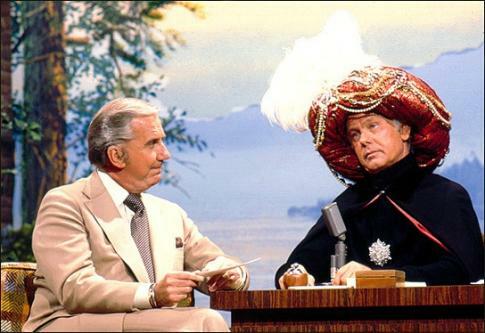 Carson and McMahon perform one of "The Tonight Show's" classic skits: Carnac the Magnificent. Ed McMahon's career spanned decades as a comedian, game show host, announcer, and T.V. personality. His ability to make millions laugh made him an iconic American legend. But he was best known as working with The King of Late Night TV, Johnny Carson, as his sidekick with the seminal opening line "H-e-e-e-e-e-e-er's Johnny!!" Mr. McMahon set up Johnny's entrances with banter support for Carson's famous quips and adored humor for 30 years. 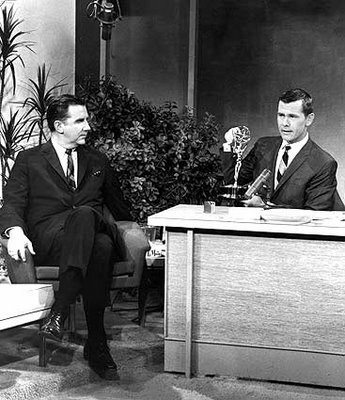 Johnny Carson and Ed McMahon were clients of ISA for years until their passing. Millions still mourn the loss of The Tonight Show and Carson's droll comedy style that ended with it.